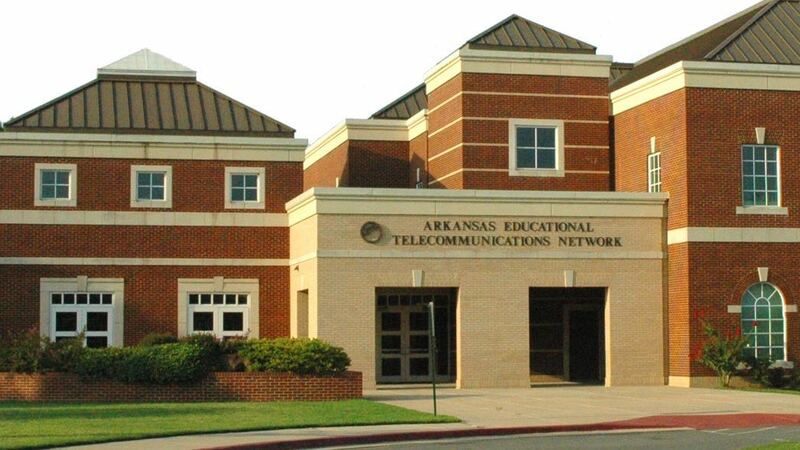 The Arkansas Educational Television Commission is threatening to sever its relationship with the AETN Foundation unless the fundraising group reinstates the network’s executive director as foundation CEO. The standoff follows months of friction between the sibling organizations over who will pay for AETN Executive Director Courtney Pledger’s push to refresh the network’s content strategy. In January, Pledger used foundation funds without board approval to pay an outside contractor with production expertise. She later fired the foundation’s longtime development director, Mona Dixon, who had urged Pledger to follow established financial procedures for securing the foundation board’s approval. When Pledger disregarded that advice, Dixon discussed her concerns about the payment with the board. At the time, Pledger was head of AETN in Conway and CEO of the foundation, but the foundation board has since removed Pledger as its chief executive. An Arkansas native with extensive experience in television and film production, Pledger was hired by Gov. Asa Hutchinson in March 2017. She succeeded longtime station leader Allen Weatherly, who died in 2016. During her first two years at AETN, Pledger has pushed for innovation. The state network launched TV and online coverage of state championship games for high school football and basketball. And in February, it premiered a statehouse streaming service, earning praise from Hutchinson. Pledger said the network is also developing streaming educational services. But the workplace climate has changed for the worse, according to an anonymous March 8 letter signed by “Concerned employees” of AETN and addressed to the foundation board, the commission and the public. Several key managers have left since Pledger arrived, including COO Tony Brooks, who served as interim executive director during the leadership transition and departed in June 2017, and Mike McCullars, who directed projects at the foundation for 28 years before exiting in August 2017. Both former employees declined to comment. The employees’ letter noted that “AETN’s beloved” HR Director Lela Hodges took early retirement March 31 after 22 years. Pledger fired Dixon, who was foundation COO and development director, Feb. 12. Dixon was ushered out of the building that day, ending 33 years of employment at the network, following a months-long argument with Pledger over payments for a production consultant. Dixon declined to comment for this story. But she detailed her disagreement with Pledger and appealed her termination in a Feb. 26 letter to AETN Foundation Chair Lynne Rich and the foundation board. After receiving Dixon’s appeal, the board removed Pledger as foundation CEO. Arkansas Business broke the story of the internal conflict March 1 and posted Dixon’s letter to Rich and copies of Dixon’s termination papers. The AETN commission, a group of citizen representatives appointed by the governor, has backed Pledger in the dispute. Eight commissioners unanimously adopted a resolution voicing support for Pledger during an emergency meeting March 27. The commission set a deadline of April 10 for the foundation’s response, then extended that deadline to April 12. “The foundation’s initial response has been given to the commission, and conversations are continuing between the commission and foundation,” AETN spokesperson Tiffany Head said Monday. Head did not respond to several requests from Current to speak with Pledger and AETN Commission Chair Anne Herrington. Foundation Chair Rich did not respond to several requests for comment. Pledger’s media career spans from Britain to Hollywood: She had worked as a creative consultant for the U.K.-based Aardman Animations (Wallace & Gromit, Chicken Run) and served as production SVP at Radical Studios in Los Angeles, where she developed partnerships with studios including DreamWorks, Disney and Warner Bros.
At a 2017 ceremony marking her appointment as executive director, Hutchinson noted Pledger’s “vision for this agency” and her “incredible background in television,” which included producing for NBC, ABC and CBS. Most recently, Pledger was executive director of the Hot Springs Documentary Film Festival. She had taken over the financially troubled festival in 2012; two years later, it was an Oscar-qualifying event for short films. Rethinking AETN’s content strategy has been a big focus for Pledger, and she wanted to bring in outside advisors to help guide the process. Pledger approached Dixon in August about initiating a contract with Team Raney, a content consulting business owned by Rachel Raney, director of national productions and original content at UNC-TV in Research Triangle Park, N.C., according to Dixon’s letter to the foundation chair. Pledger wanted to work with Raney on “content ideas” and told Dixon she “did not want to go through the state procurement process and wanted the foundation to pay for the contract,” according to the letter. Dixon told Pledger that all of the foundation’s funds were earmarked for other projects and advised Pledger to ask the foundation board to use money from the capital planning fund. Pledger “said she did not want to go through the foundation board for approval,” Dixon said in the letter. The foundation’s most recent IRS Form 990 said its fundraising revenues support AETN program production and acquisitions, as well as publication of a monthly program guide. Pledger proposed to pay Team Raney from an account that would violate the foundation’s cash-flow policy and would not adhere to spending previously approved by the board in the FY19 budget, Dixon said in the letter. At an October 2018 foundation board meeting, Pledger referenced the Team Raney contract in board materials. Rich later asked Dixon for more details on how Pledger wanted to handle the contract payment. “To protect myself, I felt the only safe way to discuss this freely [with Rich] was to invoke whistleblower protection,” Dixon wrote, recalling her decision to privately approach Rich and seek protection in discussing Pledger’s proposal. After the October meeting, Pledger “stopped communicating with me,” the letter said. But when Dixon returned from a conference in January, she noticed that Pledger had approved a foundation payment of $13,750 to Team Raney over the board’s objections. Dixon notified the board of the payment. At a special foundation board meeting Feb. 5 to discuss the contract, Dixon’s letter said, board members decided “after much conversation” to make the payment, but from the capital planning fund as Dixon had originally suggested. Dixon requested a mediation with Pledger through AETN human resources Feb. 11. HR Director Hodges “told me she thought this was a great idea,” Dixon said in the letter. Pledger fired Dixon the next day. When Dixon asked why, Pledger told her “we are going in a different direction,” according to the letter. COO Ed Leon sat outside her office door as she packed her things, Dixon said. Her termination papers offered six months’ salary in exchange for signing a nondisclosure agreement, which she declined to do. Dixon said in her letter that she believes that Pledger fired her because she tried to explain foundation policies and ensure that they were followed, then informed the board about problems with how Pledger moved ahead with the Team Raney payment. The employees’ letter said that staff believe that Pledger “is attempting to use the restricted accounts of the foundation for unauthorized purposes.” It also said staff viewed Dixon’s termination as retaliation for challenging the executive director on the payment. The employees’ letter notes that legislative auditors identified several problems with AETN for the first time in years, pointing to Pledger’s “outright disregard for state regulations” for the unfavorable review of the network’s accounting and procurement practices. Those issues included problems with a vendor contract for State of the Art, an hourlong documentary premiering April 26 on PBS. It tells the stories of seven diverse and little-known artists from across the country who were part of an exhibition in Bentonville, Ark. Auditors said AETN “did not follow state procurement law” by handling vendor payments for the program through the foundation instead of the state Department of Finance and Administration. “At no time did we wish to run afoul of state processes,” the network said in response to the audit. “Given time constraints, our aim was efficiency in securing this opportunity for Arkansas. In the future we will carefully coordinate with the advice and approval” of the Department of Finance and Administration, the network said. The audit also found that AETN did not issue competitive bids for four vendors’ charges that totaled $157,928, engaged services of a special counsel without authorization from the governor and paid two vendors $10,000 for employee training but did not properly document that the training was completed. In addition, the audit faulted Pledger for using a state vehicle without keeping mileage logs. In each instance, the station responded that it would take corrective measures to ensure future compliance. AR-CAN, the Arkansas Citizens Access Network, will stream legislative proceedings and other government activities. 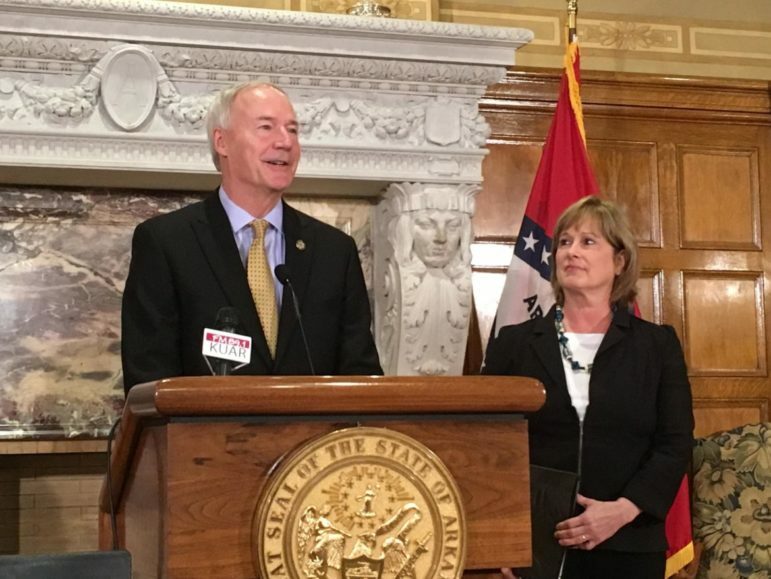 No mention of the local Arkansas jobs she is trying to eliminate and trying to replace those jobs with people in another state from a remote base.